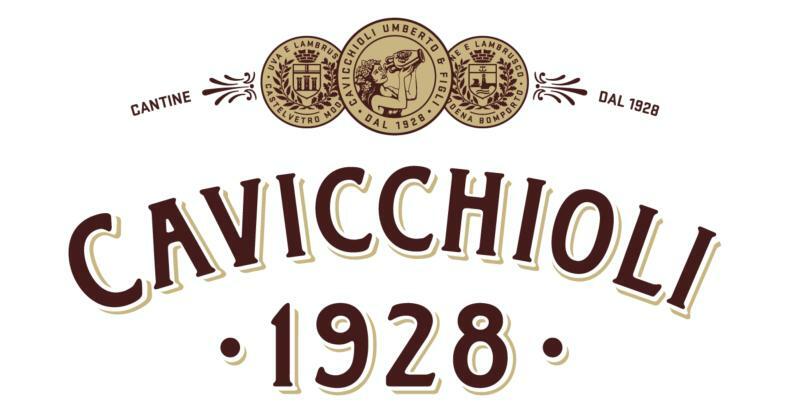 The Cavicchioli family has been cultivating vines in the San Prospero province of Modena (Sorbara DOC) for over a century, but it was not until 1928 that Umberto Cavicchioli began bottling the wine under his family name. Umberto's two grandsons, brothers Sandro and Claudio are still part of the business today. The Cavicchioli family is among the largest landowners in the Modena DOC with 235 acres of vineyards of which 173 acres are of the prized Lambrusco di Sorbara variety. Here, the climate is always humid with cold winters and hot summers and vineyards are planted in the pergola system to keep the vines dry. Their family's focus on vineyard ownership, low yields and DOC production has been instrumental in establishing Cavicchioli as one of the few leaders in high-quality Lambrusco. These wines have been sold predominantly in their native Italy, but have also found a home in markets around the world, such as the USA. Legend says that a Vitis Lambrusca, or "Wild Vine" as named by Ancient Romans, crept out of the forests of the Apennine Mountains and settled in Emilia, around Modena. Over centuries, it developed different characteristics according to local conditions so that there are noticeable differences in the 30+ sub-varieties found today. Modena remains the center for production of quality Lambrusco. To the south of Modena, and around the town of Castelvetro--which is the most prestigious appellation for Lambrusco--are the foothills of the Apennines where sloped vineyards lay on poorer, rocky soils ideal for the Grasparossa or a "red-stemmed" variety. Wines from this variety are denser, darker, more structured and made in the dry or abboccato (off-dry) style. Cavicchioli makes world-class Lambruscos and whether delicate or robust, dry or abboccato, these wines have a pronounced acidity which, together with its bubbles, are perfect foils to Emilia's hearty cuisine based on dairy, cured pork and egg pasta. Versatile, celebratory and perfect for all occasions, Cavicchioli Lambrusco's offer great value and outstanding quality. Wine Enthusiast 92"Fragrant and loaded with finesse, this boasts enticing blue flower, wild berry and cake spice scents. The fresh, elegant palate evokes strawberry, raspberry, candied nectarine and ginger, the flavors framed by vibrant acidity. It finishes crisp and dry." ~K.O.